How many steps does it take? In a world where you’re being compared to the best experience someone has ever had, you better make sure yours is on point. If it doesn’t meet the standard, people will go elsewhere. Why should people spend time looking at my work? Can people live without my product? And later, why or why not? Who is the competition? How are we different to them? What benefits are we bringing to or users? And how can we show that? These questions take time to answer. But it’s worth it. After all, what else is there to answer? If it takes more steps than someone else’s offering, chances are, your customers are looking elsewhere. 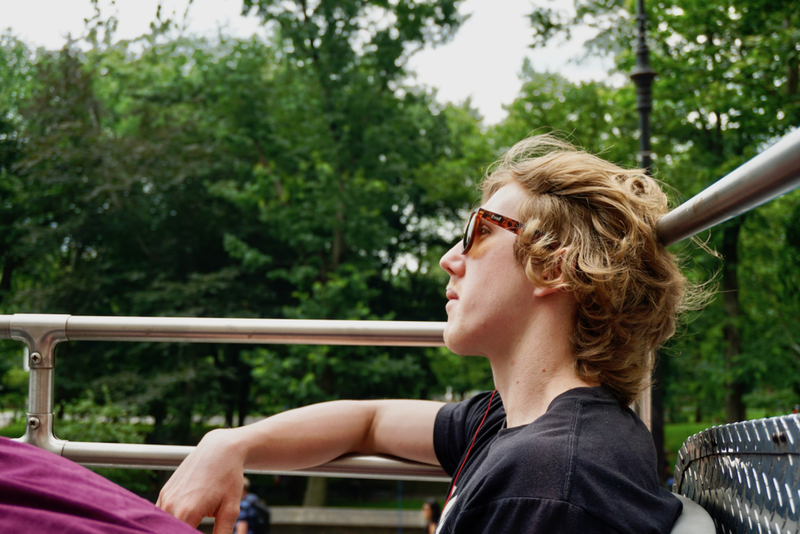 Enjoying the NYC breeze through my hair and tour guide in my ear - July 2015. Feel like everyone wants you to speed up? Go slower instead.